You are not logged in. [Log In] ETS Forums » Forums » The Survival Forum » The Survival Forum » Fossett ID, other items found in Calif.
ABC Radio is reporting that the NTSB says his body was found in the wreckage. I read last year that he was soaring with a friend in New Zealand a few years ago and passed out for several minutes. He my have had an undisclosed medical problem. Repeat of PSM's post with link. MAMMOTH LAKES, Calif. (AP) — Federal investigators say they have found body parts amid the wreckage of a missing adventurer's airplane in the mountains of eastern California. The National Transportation Safety Board said Thursday that searchers found enough at the crash site of Steve Fossett's plane to provide coroners with DNA. National Transportation Safety Board acting Chairman Mark Rosenker won't say exactly what searchers found. But he says it was not surprising how little they uncovered, considering how long it had been since the crash. Meanwhile thousands of other crash sites remain undiscovered throughout the world with less known names. Fossett could be admired both for having fun on a grand scale, and the ability to have that fun.But to put things in perspective, he no more contributed to aviation advances than all race car drivers since the invention of the rear view mirror. Lindberg was preceeded by Alcock and Brown, themselves eclipsing the first atlantic flight by navy Seaplane. Lindberg himself wrote how groundbreaking those naval ( and one Coast Guard) pilots were, flying with far less technological advances carried in his small Ryan aircraft. Antoine de Saint- Exupery's death was long a mystery. Rumour of suicide and other theorys floated around for years until the wreckage was found, and a few assembled facts gave the most plausible, and still sad explanation. In the end,with or without fancy watches, reputations or money, ' You can't cheat the mountain.' Fossey or Kennedy, there is a time to sit in the airport cafe drinking coffee. And when no answers are forthcoming, just do what french mothers told their children when the WW1 ace georges Guynemer vanished. " He flew so high he couldn't come back down." "he no more contributed to aviation advances than all race car drivers since the invention of the rear view mirror"
I would have to disagree with that statement Chris. 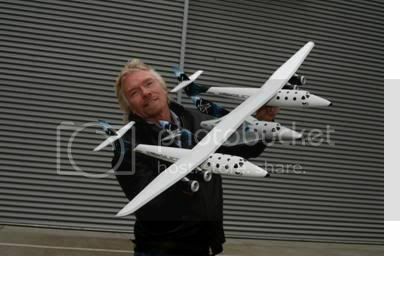 Richard Branson -adventurer and explorer who contributes to the advancements in environmentally friendly aircraft and space exploration to name a few. 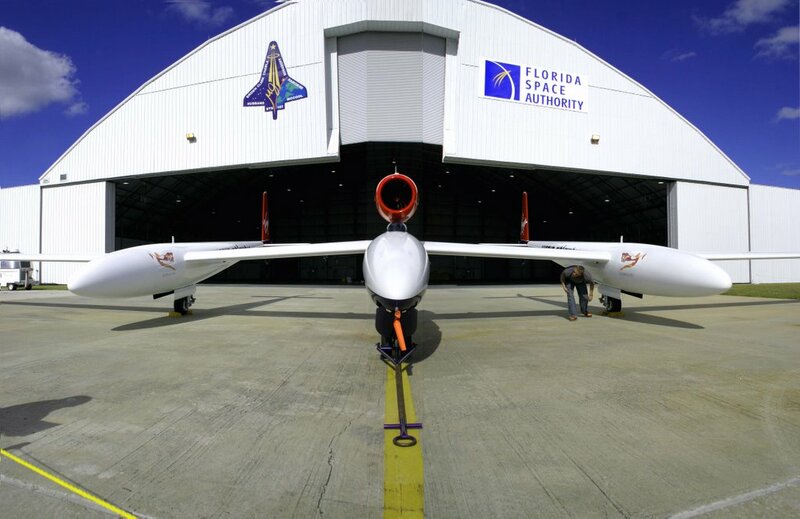 Steve Fossett's adventures has give much data and improved design and safety for aircraft as well as space craft. His little balloon flight helped us study the violent wind currents at higher altitudes and are paving away to make transcontinental flight at a 80000 foot flight level more of a reality. The space shuttle for instance is a lot of composites aboard and Burt Rutan has helped Nasa out many of times overcome composite fatigue, leading into smart metal and smart avionics. 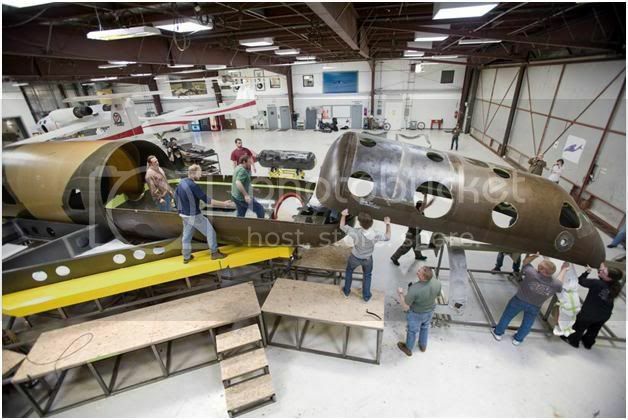 Through all three of these players, the pilot, engineer and the financier have contributed so much to the industry. Steves feed backs from his solo flight around the world on a tank of gas to high altitude balloon flights have given Nasa a wealth of data to help improve on everything from aircraft, spacecraft, and on and on. 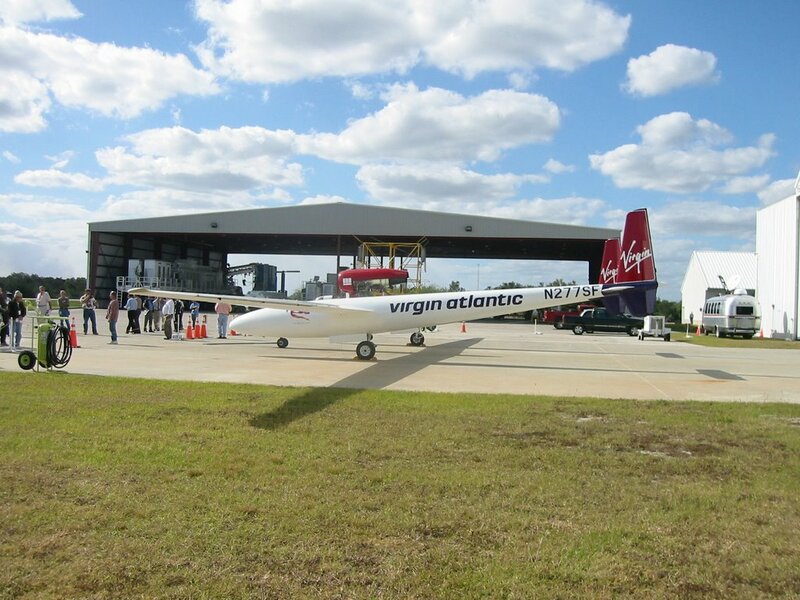 Steve Fossett visiting the Kennedy Space Center in the Atlantic GlobalFlyer for covering a distance of 20,373 miles starting at the center. The Insurance companies were trying everything not to have to pay out, but in the end they will have too. 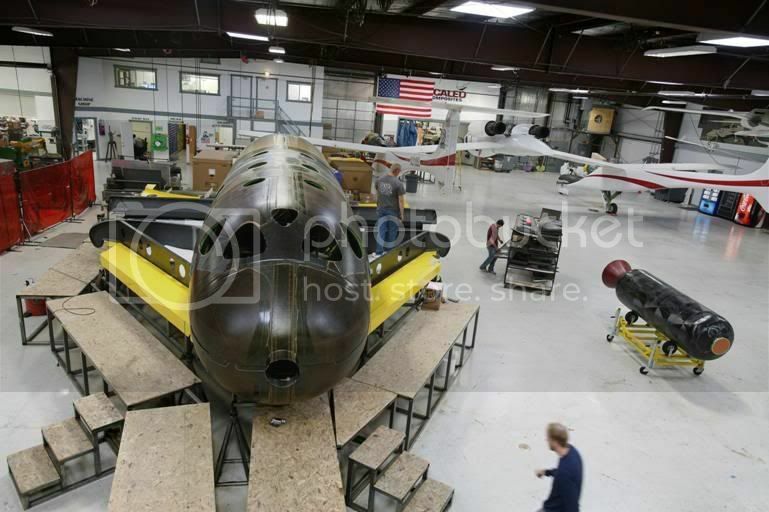 Here's some photos of in the hanger building the sub orbiter from Branson. Steve did most of the test piloting. Brilliant engineer. He doesn't think out of the box, he re-designs the box into a composite sphere ten times lighter, ten times stronger and ten times cheaper than the government spends for just the feasibility study. Lousy businessman. That's where Fossett and Branson come in. "Federal investigators say they have found body parts amid the wreckage of a missing adventurer's airplane in the mountains of eastern California." Darn, and there goes a perfectly good conspiracy theory! Wait, maybe he put another body in the wreckage, was picked up by a helicopter, and is living in Fiji. Yeah, that has to be it! As long as this is just crackerbarrel talk and I don't have to have a solid grasp of the issues, I think by focussing on Rutan, Fossett and Branson (really?? Branson??) you're showing a lack of historical perspective. I think of Wiley Post, Boeing and Robert Watson-Watt. Post flew solo around the world in a plane made of plywood - try to get such a craft certified by the FAA today, much left aloft and flying around the world. He invented early pressurized suits. Boeing built, well, Boeing, and incredible planes like the B-17 and 747. Watson-Watt invented radar, which has done more to improve survivability among pilots and passengers than all the rest. And behind each of these men are probably thousands of more anonymous engineers who did the hard work solving tough problems. It's like the field of medicine, hard to pick just three. My personal aviator favorite is my wife's uncle Bob, who before he flew for TWA was a barnstormer. He said on hot evenings they would buy crates of tomatoes, take up their crafts and fly over the houses of ill repute in the red light districts of East St Louis, and bomb the girls sitting out on door steps. He was also known to never let a dog fly in the cargo hold, especially on the old Constellations, he would take them into the cockpit and ride with the crew. Apparently, the remains recovered have been identified as Fossett's.